Developer Beechcroft Land Ltd had applied to Wiltshire Council in December 2013 for outline planning permission to build up to 70 homes on two fields at the edge of the built up area of the village of Cricklade. The Council refused permission in May 2014 and Beechcroft appealed. Following a hearing in December, planning inspector Stephen Brown issued his decision letter (9-page / 184 KB PDF) on 15 April. The inspector disagreed with Beechcroft’s claim that the Council was unable to demonstrate a five year supply of housing land, as had been found in a 2014 appeal (48-page / 371 KB PDF). Brown said the latest evidence produced by the Council showed the position on housing land supply had changed since the previous appeal. He noted that the Wiltshire Core Strategy had been found sound in December 2014 and adopted in January and that the examining inspector had been satisfied that a five year supply of deliverable sites had been demonstrated. The inspector considered that the development proposal “would not be justified in the light of the WCS”. He noted that sites for 113 new homes needed to be found by 2026 in nine settlements in the community area that included Cricklade and that the WCS anticipated this housing development would be “in the form of small sites of less than 10 dwellings”. 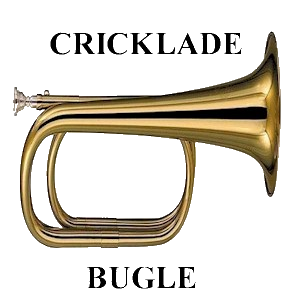 He said that allowing 70 homes on one site in Cricklade would “skew provision away from other settlements” and, considering the proximity of Cricklade to Swindon, would run counter the stated aim in the WCS of reducing out-commuting. Brown also considered that building on fields ran counter to the principle in the National Planning Policy Framework that the re-use of previously developed land should be encouraged, given that there were “opportunities in Cricklade for housing on previously developed land”. He said allowing such a large development on greenfield land would “prejudice the process of establishing a new settlement boundary for Cricklade … and particularly the opportunity for the community to review the boundary by means of the [emerging] neighbourhood plan”. Turning to the sustainability of the proposal, Brown considered that, whilst Cricklade was a suitable location for “modest levels of development”, the proposed development “would not be well integrated with the town as a whole”, would be “likely to prejudice opportunities for brownfield development of brownfield land” and would “fail to protect the countryside around Cricklade”. Cricklade, Latton, Leigh and Ashton Keynes Churches Together have arranged a hustings meeting on Tuesday 14th April in Cricklade United Church at 7.30pm. All candidates in the forthcoming parliamentary election are attending. Anyone can attend, should be an interesting evening. Cricklade WW1 letters – Local boy, Sidney Hamblin Hewer saved for the Cricklade Museum. Cricklade WW1 letters of Local boy, Sidney Hamblin Hewer (in 1911, a grocer’s assistant) was brought up by his Grandmother, Hannah Hewer in Church Street, Cricklade. During WW1, he served with the British Red Cross mainly in France. He was very worried about leaving his 80-year-old Grandmother on her own, but was reassured by promises of friends that she would be well looked after in his absence. 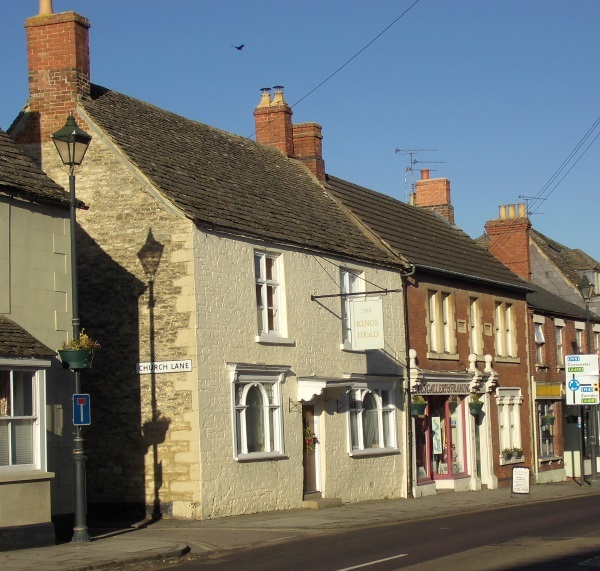 Family History: Sidney, born in 1888, one of at least 8 children, to Charles Hamblin (a Hackney Carriage Proprietor) and (Harriet) Jane Hewer, living with Charles’ Parents, Frederick and Hannah, at the Kings Head Inn, High Street, Cricklade (now closed, but it was on the corner of Church Lane), where Frederick was a “Licensed Victualler” (i.e. the Landlord). Sidney was baptised at St. Sampson’s, Cricklade (almost next door), By 1901, Sidney’s Grandfather had died and his Parents and siblings had moved away to Manchester Road Swindon, leaving Sidney living on his own with Hannah in Church Lane. During the war, in which he served as an orderly in the British Red Cross Society & Order of St John (29.9.14 – 15.1.17), he was awarded the Victory, British War and Mons Star Medals. After the war, Sidney safely returned to England, and on 19th July 1931 married Elizabeth Maney Ellam also in St. Sampson’s. Elizabeth, nee Everett, had previously married Alfred O. Ellam in 1916, but been widowed in 1927. His Grandmother Hannah, lived on after the war, dying in 1927, aged 94. A collection of their correspondence (60-plus letters/envelopes, plus one photograph) throughout the war have been withdrawn from sale by the Eype History Society. The auction of these items were to be held on January 5th 2015 at the Bridport Auction House. The good news is that they have been purchased privately and will be given to the Cricklade Museum/Cricklade Historical Society, to join their collection of materials on this local man. the Eype History Society decided to withdraw them because they will now be in the public domain, so that everyone who is interested will be able to see them, instead of selling to the highest bidder, who would possibly keep them in a private collection of wartime ephemera, and possibly wouldn’t have any connection with Sidney. A great result from one historical society to another. 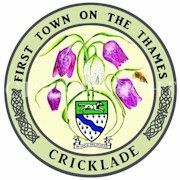 Cricklade Town Council Election Result – Peter Colmer elected. The following results were announced by the Wiltshire Deputy Returning Officer, Caroline Rudland at the end of the Count for the election held on November 6th. 2014, following a vacancy on Cricklade Town Council..
Peter Colmer received 349 votes. John Harmer 311 . Peter Colmer was duly elected as a councillor for the Cricklade Town Council . Peter Colmer returns to public life following a period out of public life, recovering from major spinal surgery. He did not attend the count and was nor available for comment. Cricklade Campus – The new community facility for Cricklade and neighbouring areas. Following 3 years of developing designs for the campus and working closely with community groups and residents, Cricklade SCOB – comprising of local volunteers appointed by the Area Board – would like to share with you the plans as part of the pre-planning consultation process. This will be your opportunity to comment on the design proposals and we welcome your feedback. The campus plans represent a significant investment into Cricklade by Wiltshire Council – existing facilities will be extensively refurbished and new facilities and community services added including an extended gym, facilities for police and Wiltshire Council officers to hot desk, new changing rooms for wet and dry activities, a multi-use games area and an external face-lift. The plans will be available at Cricklade Leisure Centre from 22 October until 5 November. Roadshows will also be taking place throughout Cricklade and the surrounding area later this month – all residents are invited to attend these roadshows to have their say on the proposals. Look out for posters and communications with the roadshow dates and times. If you have any questions in advance of the preview exhibition, please email CampusConsultation@wiltshire.gov.uk or telephone 01225 718350 . 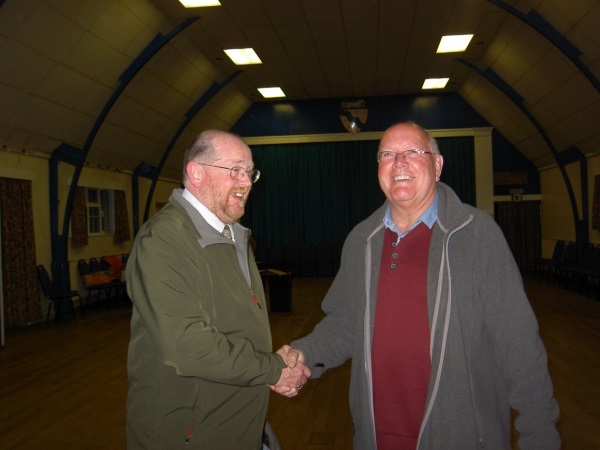 Cricklade Town Council Election Result – John Nevill elected. The following results were announced by the Wiltshire Deputy Returning Officer, Claire Shoesmith at the end of the Count for the election . The Total Votes cast were 646. The turnout was 19.39% John Nevill received 402 votes. Trevor Stinton 238 Votes not valid 6. John Nevill was duly elected as a councillor for the Cricklade Town Council . Cricklade RFC are continuing to raise fund to construct changing room facilities next to the Fairview Fields pitch in Cricklade. More information on the project can be found on our main website using the link http://www.crickladerfc.co.uk/ . We’ve carried out many fund raising events of which we’re very grateful for the support we’ve received. This is the latest fundraising project and whilst donations are always gratefully received but we’d like to give you something back for your money . 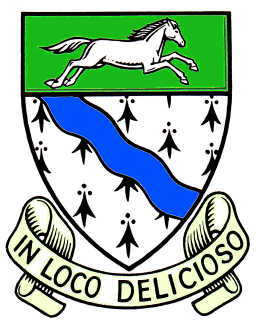 http://www.crfc-buyabrick.co.uk . 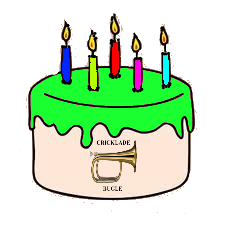 Yes it’s true the “Cricklade Bugle” has been publishing its Online Community and Event Website for 4 years. Cricklade is a Saxon Town situated on the banks of the River Thames on the northern border of Wiltshire between Swindon and Cirencester close to the Roman Ermine Road. @TalkAboutLocal and individuals -@getgood @willperrin @mike_rawlins @Media Trust @hill_wheeler @CrickladeLeis @CrickladeTC . 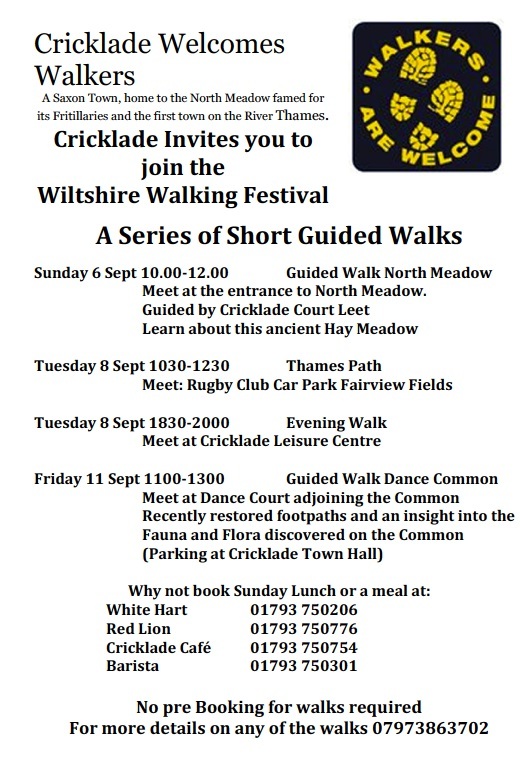 And all Cricklade Clubs and followers of the site and twitter. Thank you again for your support. Currently the Website is hosted on WordPress.com but thanks to an offer of www.bloggersworld.co.uk it is moving to self-hosting using WordPress.org . This may take a little time to develop the site. Media Trust (www.mediatrust.org ) have sent an invitation to apply to join their our Local360 Network interested in becoming a beacon. The intention is to apply.The future looks good. Contributors and Guest bloggers are welcome to offer their topics for publication. Please contact at peter@crickladebugle.co.uk .